Someone’s taking stunning new photos of the surface of Mars. But who—or what? 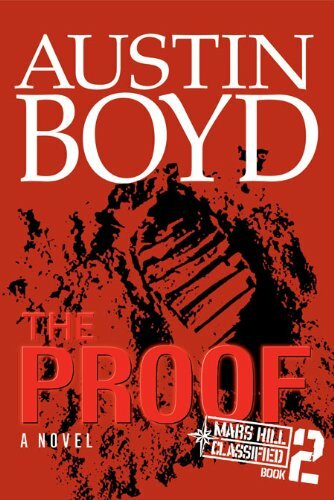 In The Evidence, terrorists, aliens, prophets, and a disorganized U.S. government swirl together to form a gripping backdrop to one man's struggle to balance his obligations to country, family, and God. The world’s gone crazy. Terrorists launch a crippling strike against the United States, a beguiling holy man utters prophecies of alien encounters, and someone—or something—is beaming unexplained images from Mars to Earth. And all John Wells and the space station crew can do is watch it unfold—and pray their loved ones are spared. With a sophisticated alien culture seemingly confirmed on the Red Planet, a disorganized U.S. government struggles to formulate its next steps. Caught in a web of politics, torn by family commitments, and called to serve not only his country but his God, John Wells must take a giant step for mankind. 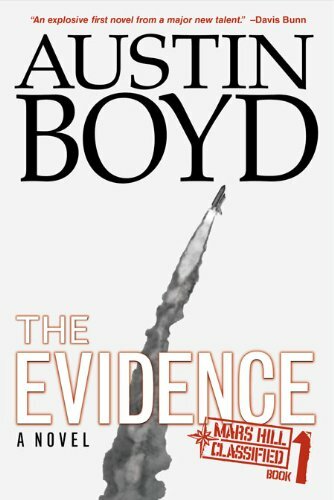 The Evidence, first in a series that changed the face of “futurist” stories in the Christian fiction genre. $8, signed by the author, shipping included, when you buy through PayPal. Other Books in "Mars Hill Classified trilogy"
Hiding in plain sight, Islamic extremists plot the overthrow of the United States through violent action and economic devastation. A nation divided by politics and nationalism is stymied by internal strife, missing clear indicators of a coming disaster. Then tragedy strikes, the Islamic State of America’s (ISAM) shrewd “Wolfpack” jihadists murdering at random across the nation, forcing the nation to cower in fear. Want Austin's thought-provoking posts delivered to your RSS reader? Subscribe here! Surf over to this link to catch up on the latest news and media release. Check out my calender of events and speaking engagements here!